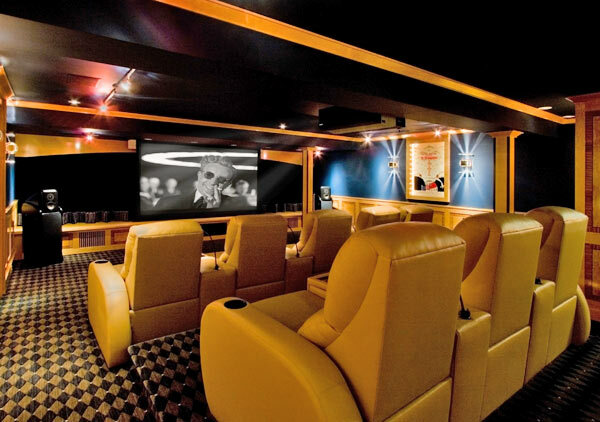 At first glance, this elegant setting appears to be a dedicated in-home movie theater, but there’s more to it than immediately meets the eye. The New Jersey residents who chose Lyric’s White Plains-based team to realize their dream installation wanted a formal entertainment area that would also serve as a place for the family to spend time together while enjoying separate, very different activities. 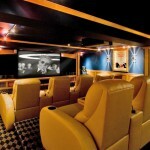 The result is a distinctive multi-purpose media room where adults can enjoy recorded music or TV while headphone-equipped children indulge in video gaming to their hearts’ content. 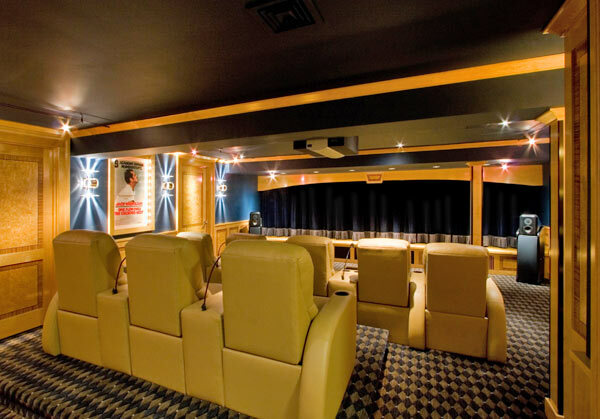 Lyric’s system planners and installers made this possible by mounting three flat-screen TV monitors along the front wall, where they’re easily curtained off when movies are shown on the motorized film screen that, whenever needed, lowers from the ceiling just ahead of that wall. McIntosh electronics, which are concealed, and Revel Ultima speakers, as sculpturally refined as they are sonically impressive, assure that every note of music is superbly reproduced for listeners in this standout space, and its state-of-the-art Kaleidescape server can store an unlimited number of movies on hard drive. Any of those films can be selected via remote modules in the media room itself and from various other places in the house, where they’re screened on linked TVs.